8-10′ upright and wide shrub. It has yellow flowers in April for 2-3 weeks. Full sunlight is needed for maximum flower. 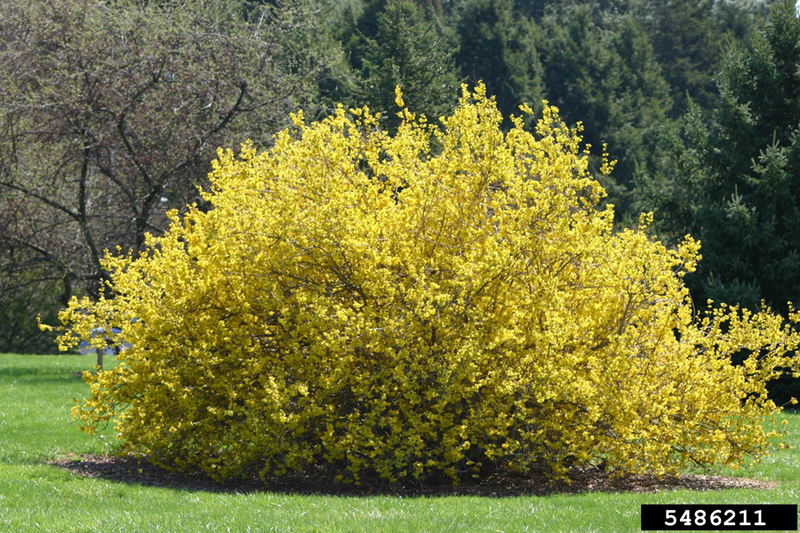 Forsythia prefers loose soil, but does well in any type.